I’m wearing mainly vintage- just bits and pieces (some from my Grandma). Other items are from my clothes store Frankie and Johnny in Bunbury. 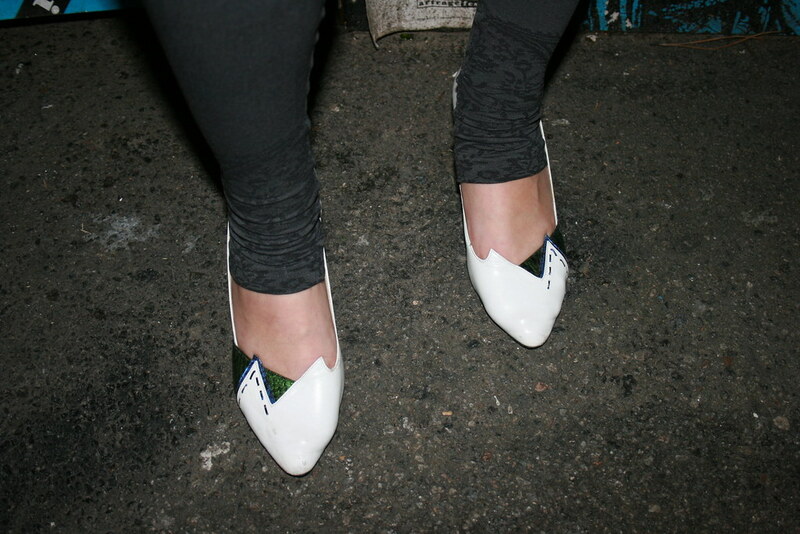 Bunbury fashion is starting to happen. 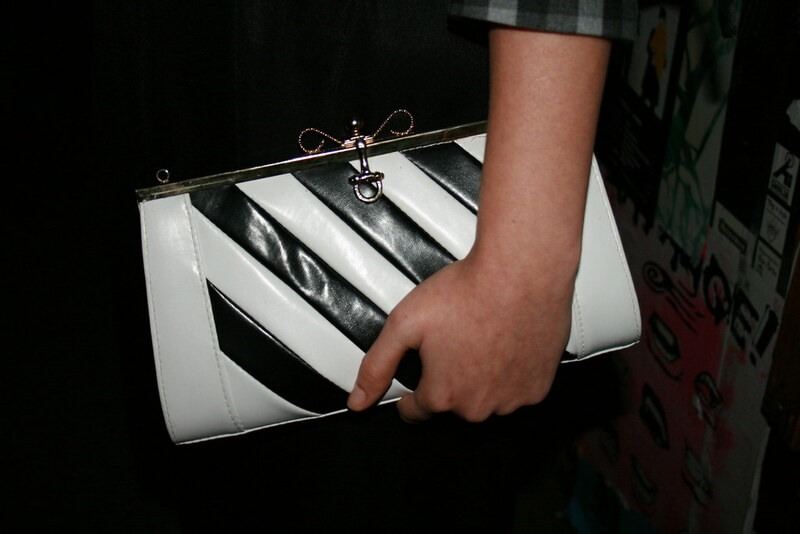 I love Dana’s accessories- the black & white striped purse and retro shoes. The necklaces she’s wearing paired with the gold belt add a youthful touch to her vintage look. mmm i really like that jacket, i like how its just shorter than her wrists, and just higher than her hips. check pattern is great too.